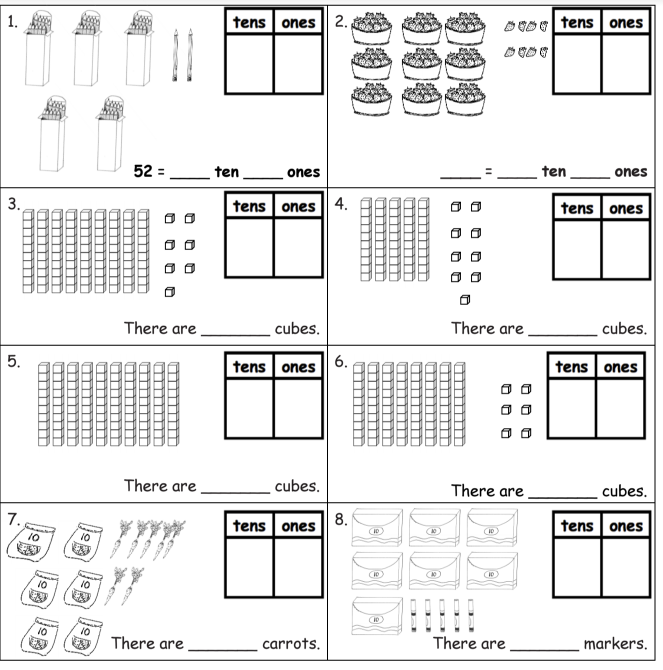 Worksheets, solutions, and videos to help Grade 1 students learn how to use the place value chart to record and name tens and ones within a two-digit number up to 100. Learning Goal: I can describe numbers in tens and ones to 100. 9. 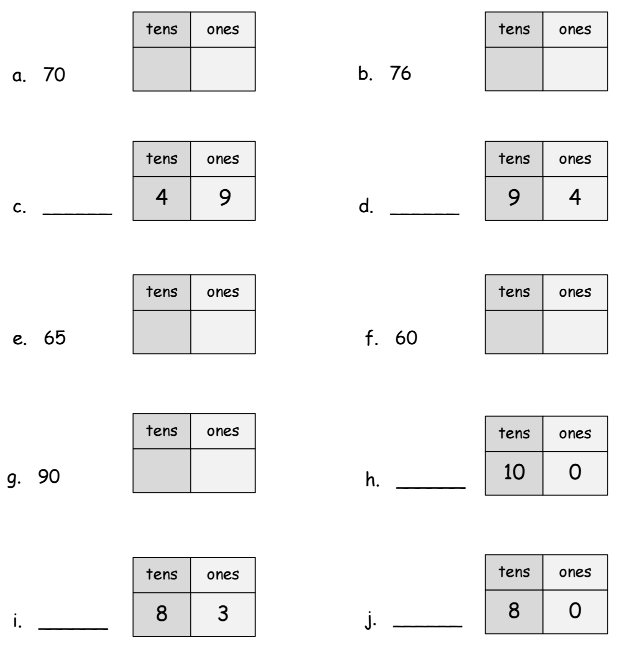 Write the number as tens and ones in the place value chart, or use the place value chart to write the number.